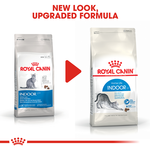 Royal Canin Feline Indoor is tailor made to suit the unique nutritional needs of your indoor adult cat. This premium dry cat food is made from highly digestible ingredients to improve digestion for less active indoor cats and reduce stool odour. 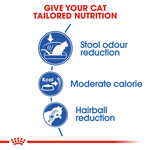 Royal Canin Feline Indoor contains an adapted calorie content to aid weight management, preventing excess weight gain, as well as a combination of specific fibres to allow hair to be naturally eliminated from the gastrointestinal tract, reducing hairball formation. 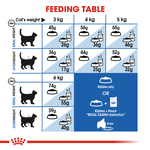 Do you have an indoor cat over the age of 7? 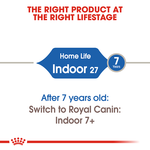 Try Royal Canin Feline Indoor 7+. Need to stock up on wet food too? 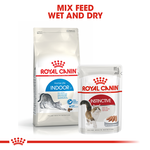 Check out our range of Royal Canin wet food for cats. The cat likes it given its just about all it eats that is good. 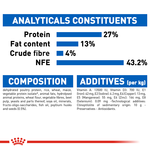 My cat loves this food. 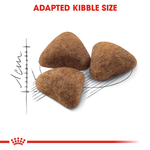 It makes her maintain her weight and has regular bowel movement. Doesn’t really reduce stool smell, imo. Her coat is nice and shiny and most important for indoor cat is she is not over weight. Great quality and good value ?? My 3 cats love it ?? Since I changed back to this brand , my cat loves it and eats more. The food is really great! 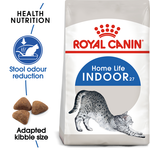 My 1.5yo cat has been very healthy & doing his business daily, Pet circle also has really great prices too! The only thing is I bought the 10KG bag (best value) and found out there isnt a ziplock like the smaller bags, bit hard to keep it sealed... I do have a smaller container for daily use, but its just bit too much for 1 cat. Maybe i will stick to 4kg to keep them fresher. Anyway, really nice food!